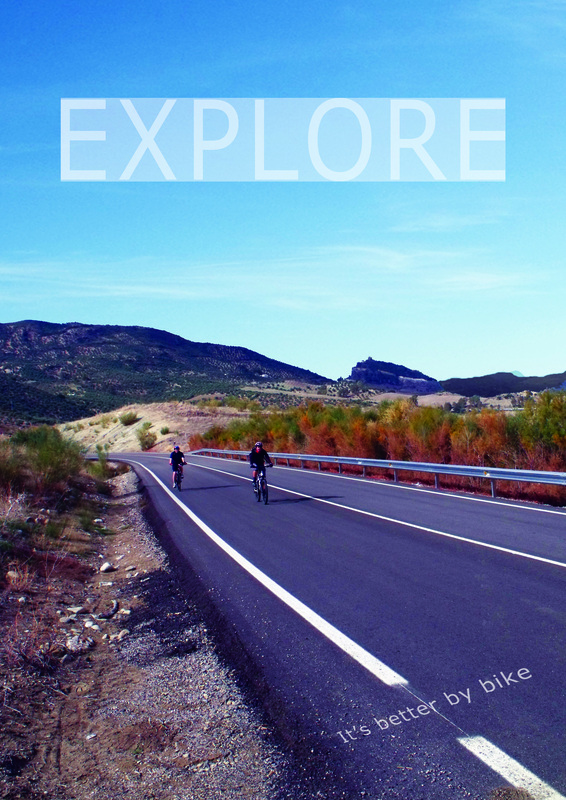 I explored the content of adverts through 100 years – 1900 to 2000. What is being sold and to whom. What is happening in society during that period and what is the culture? What securities or insecurities is the advertiser appealing to? 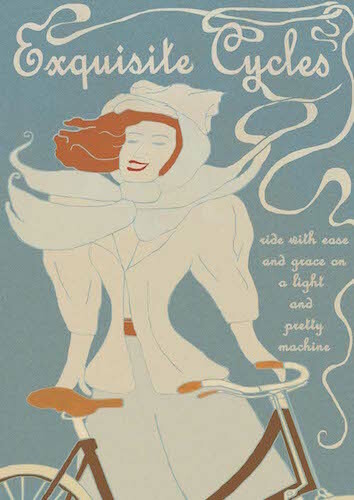 In the 1890s bicycles were now being advertised to women. It shifted their use and public perception from being a dangerous toy for sporting young men to being an everyday transport tool for men—and, crucially, women—of all ages. Important things: Freedom and self reliance for women, safety, smooth ride, well produced, efficient, strong, comfort and speed. The ‘golden age’ of cycling. Frances Willard, President of Women’s Christian Temperance Union’ said – “I would not waste my life in friction when it could be turned into momentum. The ‘rational dress/ came into being. World War One changed everything. Never the same again. 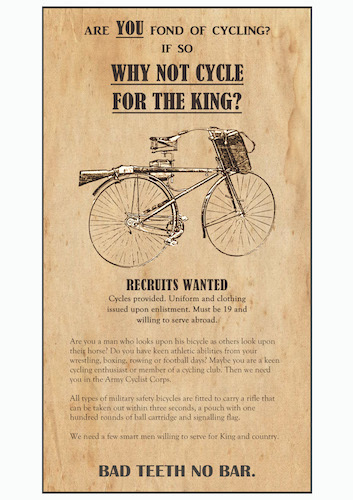 1914 – At start of the war, Britain had 14,000 cyclists in a variety of bicycle regiments and battalions. In 1916, every corps was assigned 500 riders in three bicycle companies, By 1919, The British had 100,000 riders. The London Cyclist Battalion patrolled the coast of England to watch for a German invasion. After air attacks began in May 1915, bicyclists with signs “Take Cover” warned British citizens to find shelter. 1940 – Second World War. There were several accidents (bicycle and otherwise) because of regular blackouts due to the threat of being bombed from the air. 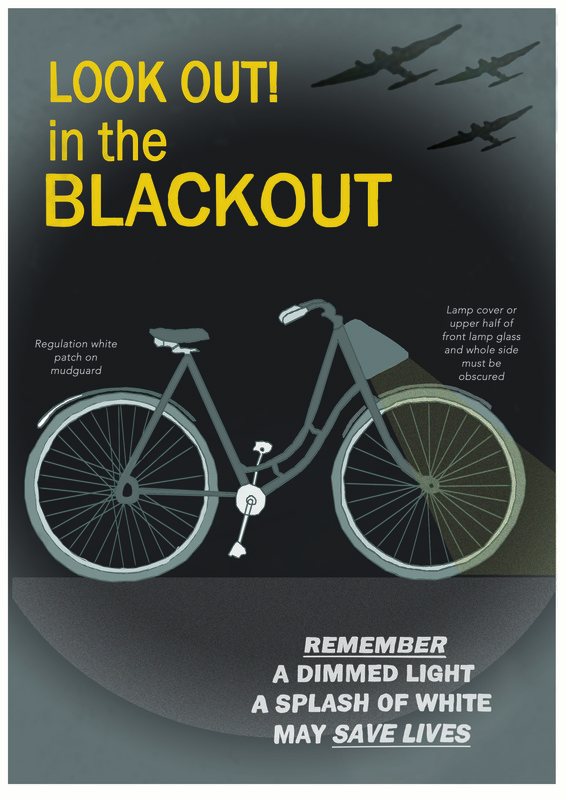 It became a worry and I found several posters advising people how to stay safe while travelling around London during a blackout. 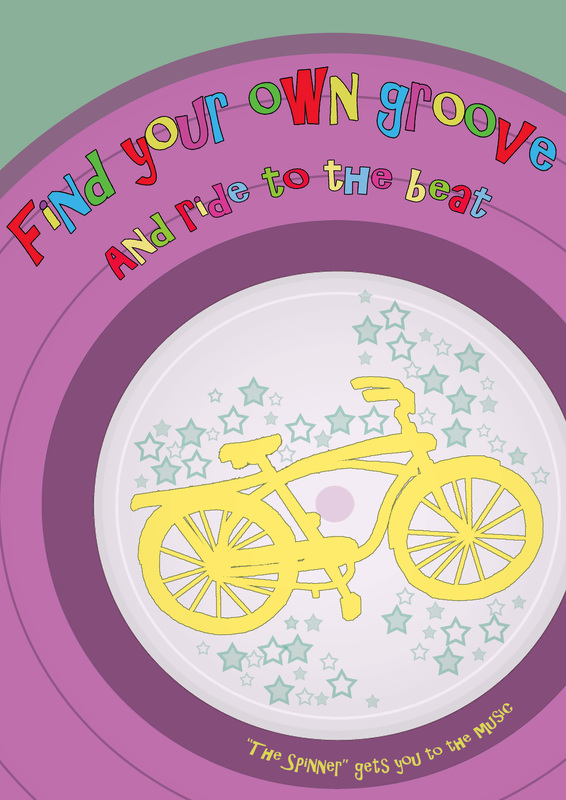 Bicycles were adapted with special lamps that gave a low amount of light. After the post-war hardship and the belt-tightening of the 1950s, there was a feeling that anything was possible in the 60s. A time of experiment, freedom, sexual and racial taboos begin to be challenged. Overpopulation, pollution, fitness, less smoking, worries about alcohol, nanny state, health & safety, Olympics, communications open up possibilities – anyone can do anything now.